Welcome. 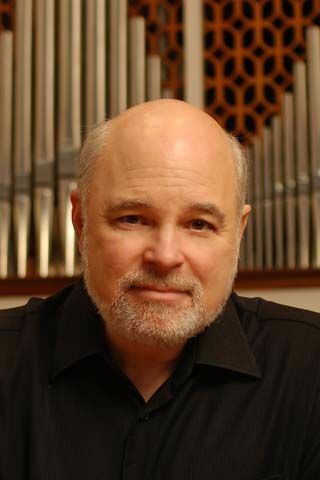 I’m delighted to offer some of my favorite music recorded during performances at University Church. As with any live and un-edited recordings, these tracks contain audience noise and even a wrong note or two (and always in the worst places! ), and so I ask your patience. Yet, live recordings also provide a communication and energy difficult to achieve any other way. Although it’s not possible to record the organ or choir during our regular worship, I hope this music, performed and professionally recorded at special concerts, will in any case give a taste of the musical life of University Church. To listen, please click on the title or specific movement of any work. Use your browser’s ‘back’ button to return to this page for more music. You will need Apple “Quicktime” loaded on your computer in order to listen. > Download Quicktime from Apple. 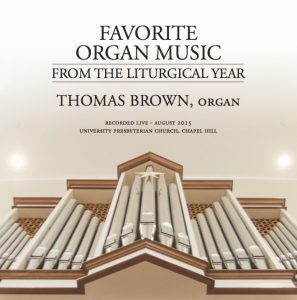 Purchase your own copy of Thomas Brown’s performance of “Favorite Organ Music from the Liturgical Year,” recorded on the Sanctuary Organ in 2015. Contact mailto:brown@upcch.org to order yours today!